Part of the Trump agenda is the return of true national sovereignty. This weekend, the morning television news shows are addressing a number of topics including the problems facing President Donald Trump with keeping his promises, including the building of a security barrier or “border wall” between the United States and Mexico. But thanks to some GOP lawmakers, including Alabama Congressman Mike Rogers, who is a senior member of the Armed Services Committee, and serves as Chairman of the Subcommittee on Strategic Forces, there is a new bill introduced in the House of Representatives that will help in achieving this important security barrier. 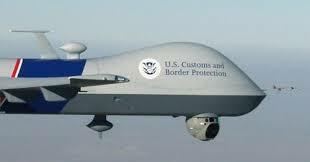 Part of Trump’s border security plan is the use of surveillance drones to alert Border Patrol agents. Congressman Mike Rogers introduced HR 1813, the Border Wall Funding Act of 2017. This bill, which is supported and endorsed by FAIR, the Federation for American Immigration Reform, would impose a 2% fee on all remittances headed south of the US border. Remittances, or wire transfers, are commonly used by illegal immigrants to move money from the US to their home countries. In 2014, Mexico alone received over $24 billion in remittances sent from the US, while other South and Central American countries received over 15% of their GDPs in the form of remittances. “President Trump has made it very clear that he intends to complete a wall along our Southern border. As a senior member of the Homeland Security committee, I have long supported the border wall, which will protect Americans.” Rogers said. “In order to jumpstart the funding of the wall, I have introduced a bill to impose a 2% fee on remittances sent south of the border. This bill is simple – anyone who sends their money to countries that benefit from our porous borders and illegal immigration should be responsible for providing some of the funds needed to complete the wall. This bill keeps money in the American economy, and most importantly, it creates a funding stream to build the wall,” Rogers said. One of the main issues that propelled the Republicans and Trump to victory was the promise of a wall being built at the United States border with Mexico. The response by the news media, their favorite Democratic politicians and illegal-immigration advocates was astounding, with newspapers, magazines, television, radio and the Internet awash in comments that Trump was a racist, a bigot, and a xenophobic bully. 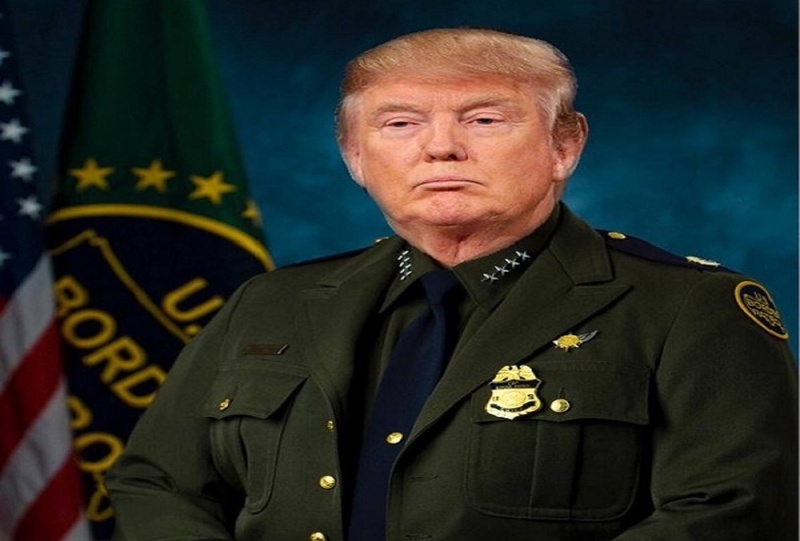 However, major polls showed that at least a majority of Republicans and independents favored a barrier on the U.S. border with Mexico and the Border Patrol .and Immigration and Customs Enforcement (ICE) unions endorsed the Republican presidential candidate, as did most of the nation’s local and state police unions. 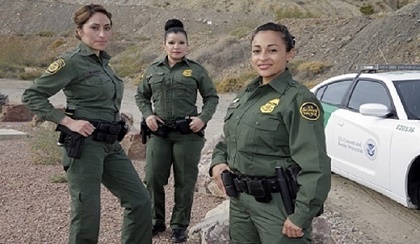 Part of Trump’s border security plan is the hiring of additional border agents which will provide jobs for Latino citizens. Now failing to convince President Trump and a majority of Americans that a border wall is “evil,” Democrats and the news media are hoping memories are short in Washington. 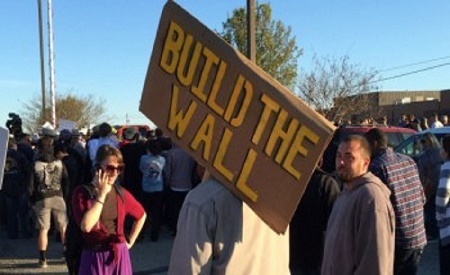 “The truth of the matter – noticeably avoided by the media and politicians – is that the U.S. Congress passed a bill and it was signed into law by President George W. Bush in 2006 ordering a wall to be built at the U.S.-Mexican border and that more Border Patrol agents should be hired for the Southern border. “The Consolidated Appropriations Act required the DHS to complete construction by December 31, 2008, of either 370 miles or other mileage determined by the Secretary of Homeland Security of reinforced fencing along the southwest border wherever the Secretary determines it would be most practical and effective in deterring smugglers and aliens attempting illegal entry,” according to documents in the Government Printing Office. 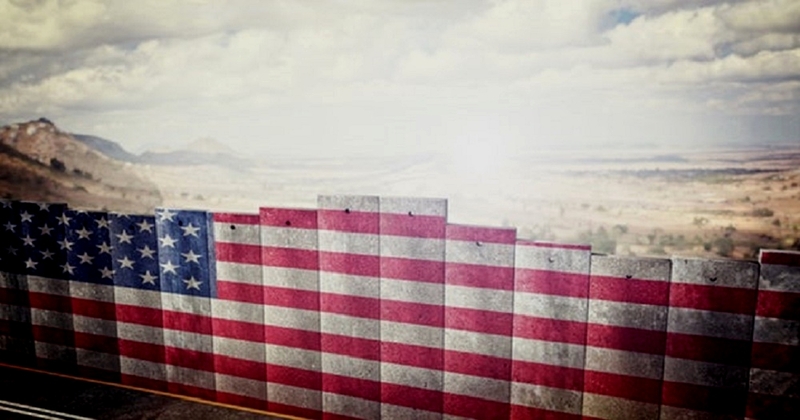 While the Democratic Party and their news media allies attempt to downplay the American people’s wish for better border security and national sovereignty, polls show a majority of Americans favor a wall. A Fox News/Opinion Dynamics poll indicated the American people favored a proposal to build a 2,000-mile security fence by a 51-to-37 percent margin. The total illegal alien population was estimated by then-Secretary of Homeland Security Tom Ridge at 8 to 12 million in December 2003, but financial guru Lou Dobbs of Fox Business Channel regularly uses 20 million as a more realistic number of illegal aliens in the US. The sea of illegal aliens provides a cover and an environment in which terrorists can hide, and the tide of in-coming illegal aliens provides terrorists with a reliable means of entry, the Global Security report. Most Americans were kept in the dark by the news media’s hotbed of corruption when on Friday, January 14, 2011, then Secretary of Homeland Security Janet Napolitano’s office announced that the Obama administration canceled the ‘Virtual Fence’ project along the U.S.-Mexico border. Obama and Napolitano had decided a “virtual fence” would be more effective and they controlled both houses of Congress and Bush, who was never a big advocate of controlling immigration, went along with the plan. The reason for her cancellation after spending almost a billion dollars was the continued technical equipment problems and the rising costs of constructing and installing the components of the Obama virtual fence including closed-circuit TV cameras and monitors, electronic detectors, and other security measures. “Sadly, we had a virtual president and a virtual DHS secretary making a virtual decision on a virtual fence that never existed in the first place. And after paying off some of Obama’s contributors to his campaign with hefty contracts, the project was canceled, One-billion-dollars was spent. And the Mexican government was elated that there was no wall, no fence and no virtual barriers,” said for U.S. narcotics enforcement officer Carl Meezinger. As reported in the past by NewsWithViews.com, the original border security plan called for a fence and barriers to be used on parts of the U.S.’s southern border, but with the Democrats controlling both houses of Congress and the Bush Administration being weak on border security, the plan switched from a real fence to a virtual fence using high-tech equipment. Unfortunately, the Department of Homeland Security’s failure to protect the United State, was a costly program to place crucial electronic surveillance systems along the U.S.-Mexico border that is years behind schedule. The security project is grossly over budget because Secretary Janet Napolitano’s agency hasn’t adequately managed the contractor doing the work, according to a Washington, DC watchdog group. “As a result, hundreds of millions of taxpayer dollars will be wasted and the porous southern border will continue to be vulnerable despite the Obama Administration’s assurances that it’s as secure as it’s ever been. So far the troubled project, known as Secure Border Initiative Network, has cost the government $672 million although it’s nowhere near completion,” according to Judicial Watch, a public-interest group that investigates political corruption. The wall will help BUT the only way to stop the flood of illegals is to cut off any and all benefits they now receive and a big fine for anyone who knowingly hires an illegal. We may well have passed the point of no return on illegal colonization as the best guesstimate on their number in the USA is about 50 Million and it appears they are all having anchors. Our last 5 Presidents refused to enforce our immigration laws, nothing on the level of Obama however we are seeing the results of their actions today. Far to may of our elected officials have sold their soul and their country for money, power and votes. WE re-elected most of them ! It breaks my heart, Rocky, but you are 100% correct!